The Campine originated in Antwerp Belgium and has been bred for several centuries. They were bred for their white shelled eggs. The Campine was brought to the UK in the 19th Century. The Campine is very similar to the Belgium Braekal in all ways except size. The Braekal is the larger of the two. 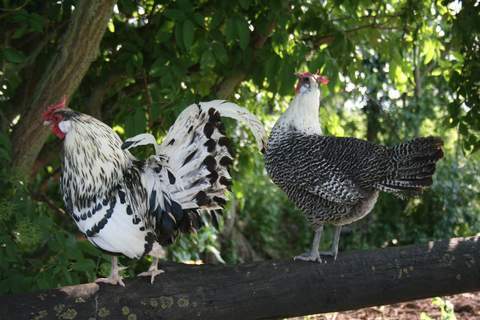 The English or standard Campine we now have today is a mix of two Belgium Varieties with the plumage of the Campine male and female being identical in colour patterns. 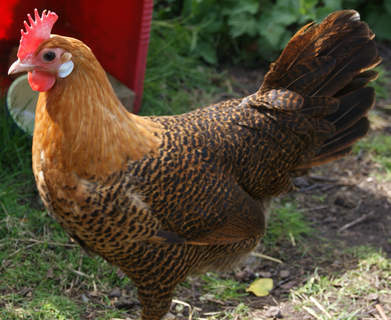 The breed is a lively one that prefers to be out and about free ranging most of the time. The birds are very alert and inquisitive. Some can be rather wild in nature whilst others can be very friendly. This bird has been bred in two different colours - Golden and silver. It is a beautiful bird with pencilling feathers. The golden Campine's body, wings and tail are black, barred with dark orange and gold. 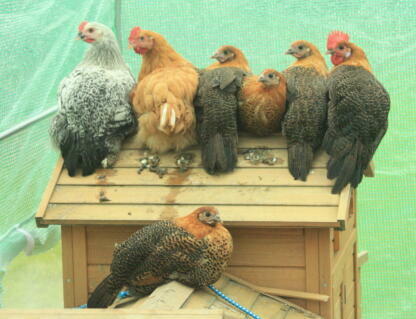 Their necks are a striking burnt orange colour. They do have pure white earlobes and their legs are slate blue. The Campine is a small tightly feathered bird. 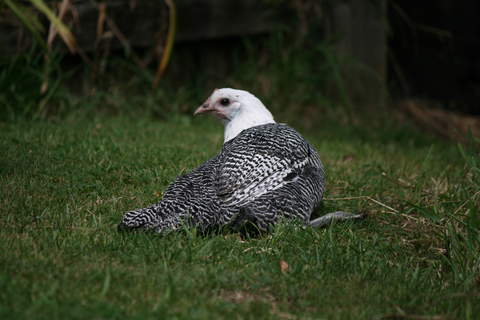 They are mainly bred for ornamental purposes but they will lay a fair number of medium white shelled eggs. 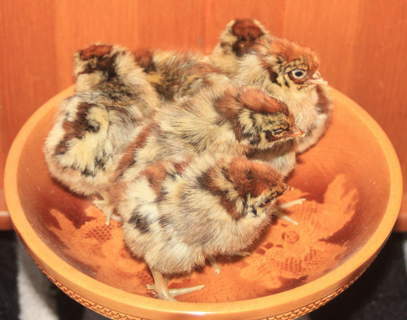 They are a non-broody bird but are less cold hardy and their combs can be prone to frostbite. 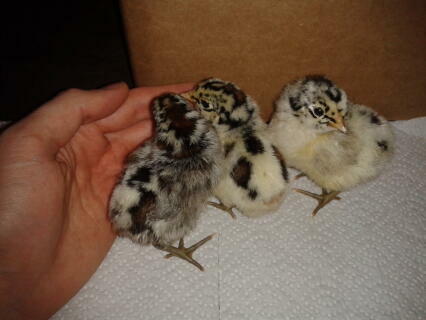 I bought 3 cream legbars in the summer for their blue eggs. 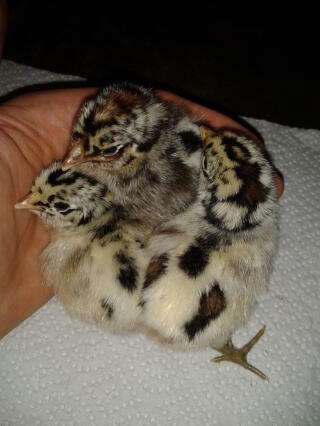 I wanted 4 but the farm only had 3 so I made up numbers with a very feisty Golden Campine. 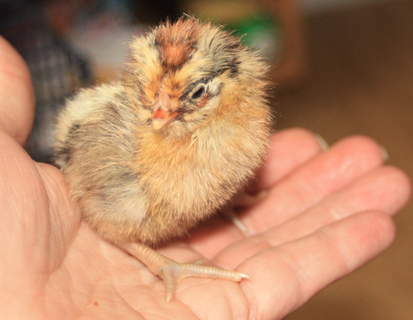 She, Kylie, was much smaller than the legbars and the first few days was mercilessly bullied. My husband gave her special treats and the others seemed to realise that to be around her meant some very good grub. Like your other reviewers' Campines, she quickly became the leader of the pack and a huge personality. Kylie by name, Kylie by nature. All 4 chickens started to moult about 6 weeks ago and she soon became very poorly, losing appetite and crouching in corners. I took her to the vet who said that the moult had made her susceptible to infection and she had caught a virus. He gave her a shot of antibiotics and a big syringe of food directly into her crop. He gave me a course of antibiotic tablets to give one a day which I did. I also fed her by hand live mealworms and porridge. She started to put on weight and after a week or so when I put her out with the other chickens she was feeding and drinking but then going quietly into a corner of the garden. She seemed to be getting better and putting on weight but yesterday I found her dead behind a tree in the garden. I'm still not sure why she died as she seemed to be getting better. We will all miss her. 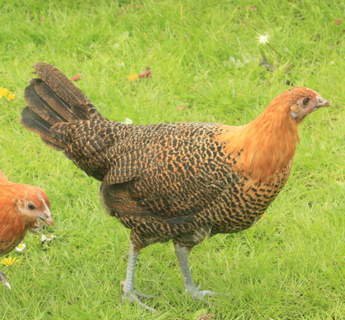 We only read the reviews on this site after we bought our golden campine hen to add to a new mixed flock ... and we began to worry about how we would cope with her, even though we have kept chickens for over 20 years! She started off at the bottom of the pecking order - no doubt partly due to most of the other birds being bigger than her - but she has amazing survival instincts. 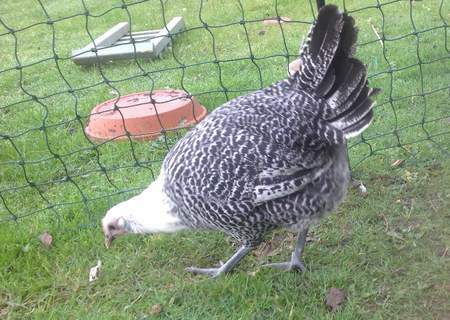 She is a smash and grab specialist and has no trouble stealing titbits from the beaks of other hens and dashing out of the way with her ill-gotten gains. Yes! she is independent and always the one to end up on the wrong side of the fence or where she shouldnt be! 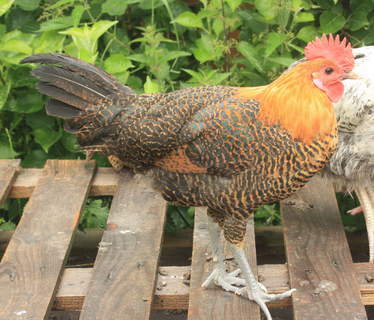 But she is also the friendliest of our hens (which are all hand-tame) and trots along at our heels talking away whenever we are out in our very large garden with the birds. 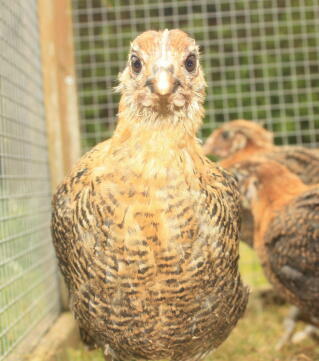 This bird just oozes character but is definitely not a breed to be kept in a confined space. She might be small but she can scale bushes and clear a 3m high fence with ease - even with clipped wings! We love her to bits and are so pleased we bought her. We had some gold campines and one silver campine and sadly lost one gold and the silver to the fox, hence why I'm on here trying to find if any are for sale. 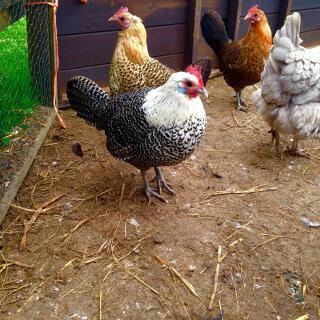 They are very pretty chickens and very friendly. 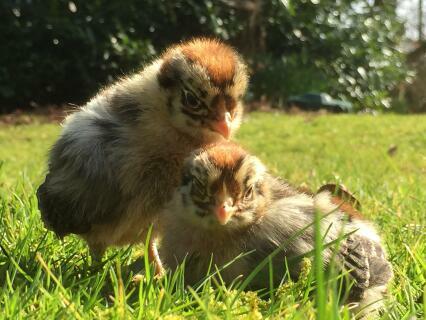 They live in a free range flock of about 5 different breeds, varying from big barred plymouth rocks down to bantam ancona and pekins. One of the gold campines got bullied at one point but that resolved itself and the others have all got on well. They roam as far as they want to over about 3 acres and I suspect this free range lifestyle probably suits them.